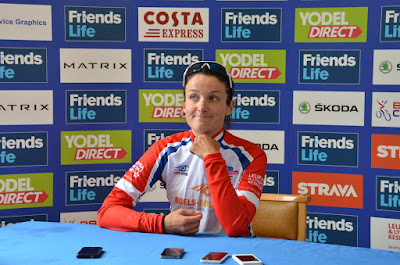 Much has been said and printed about Lizzie Armitstead over the last couple of days, but I have followed her very closely over three years and reckon I know her better than most other journalists. I began covering women's cycling in early 2014, my first race was the Ronde van Drenthe World Cup race. Armitstead won that and, as I have been working mainly for British magazine Cycling Weekly, she has been my story ever since. In that time she has become both world champion and a dominant force in women's professional cycling, winning numerous races leading to two World Cup titles, the British (2015) and the Commonwealth championships. I have interviewed her many times in that period, at a guess over 30. In that I do not include press conferences where one struggles for a real insight or feel for the person, these interactions have mostly been face to face, one on one chats, once for an hour in a café close to her home, though there were three telephone interviews. I have written two feature length pieces about her as well as many other shorter articles charting her success. I'm sure she is sick of me, but I reckon I have got to know her pretty well for someone who is no more than a passing professional acquaintance. During this time she has become more focussed and perhaps more ruthless too, as if she realised her own potential and was determined to maximise it. It is clear that since she became world champion she is more demand from people like me. I have seen how straight she is; never rude, she is articulate and diplomatic, but will say what she thinks. We saw the perfect example of this after she won the world's in Richmond last year where she told the press conference some journalists needed to do some research. I have witnessed her disappear into her shell before a race, her answers shorter and her smile more forced. She calls it her bubble. And the bigger the race, the bigger the bubble gets and the longer it lasts. I have also seen the stress this year has put her under. The night before this year's Flèche Wallonne she gave 11 interviews in the team hotel in Maastricht. The following day the pressure of that and a busy but successful spring campaign was very obvious to me as we chatted at the finish. I think I have seen some glimpses of the real Lizzie Armitstead. Someone who needs to escape the pressure and stress she denies she feels. A woman who is professional when it comes to the press and racing, but is desperate to get home to her family and friends. She likes her own space. 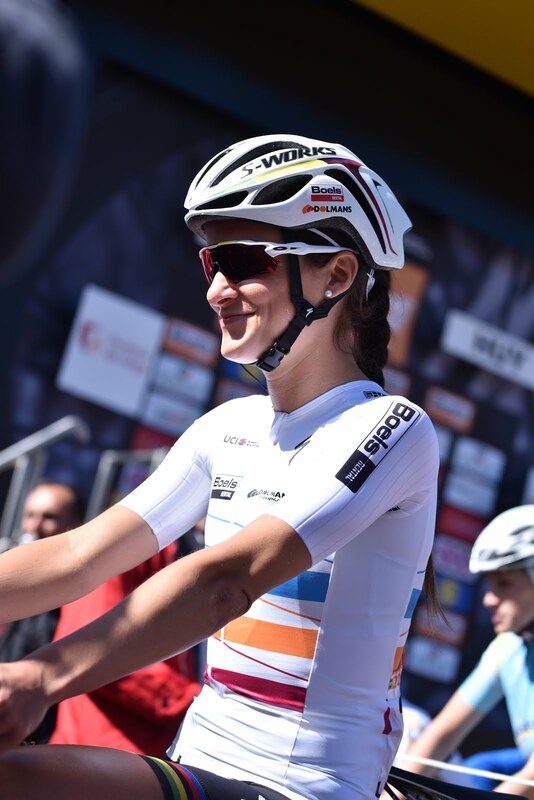 In cycling we all know a healthy dose of scepticism is a good thing and during three years speaking with Armitstead I have often wondered whether I was being lied to. She likes to control her agenda, and if you read either my Cycling Weekly feature or Ed Pickering's ProCycling piece from last autumn, she admits to being a 'control freak.' However, I cannot think of one occasion, action or conversation when I have doubted her honesty and despite wracking my brain now and on those other occasions, I can think of nothing that would suggest she was doping. In a 26 year career as a Police officer I reckon I developed a good idea of who is lying to me and who is not. Of who is honest and who is not. Of who is hiding something and who is not. It should be noted, however, that Armitstead is far more intelligent than the criminals I would encounter and maybe I've been suckered. So, is Lizzie Armitstead clean? But I believe she is.